A representative image in metadata is the first thing readers will see of your capsule on Code Ocean's Explore Page or social media. Ideally, it will be a figure recreated and saved by your capsule. 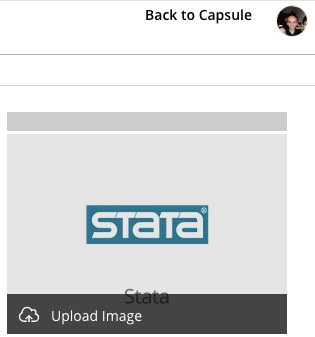 To update your capsule's cover image, navigate to your capsule's Metadata pane, hover over the current image (in this case, the default placeholder), and click Upload Image.